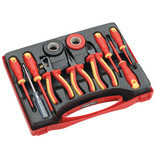 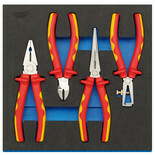 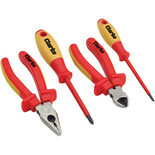 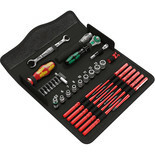 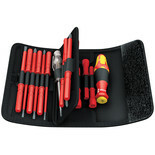 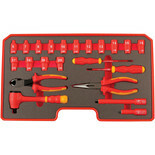 This high quality screwdriver and plier set comprises of the most commonly used electrician’s tools. 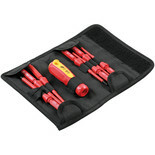 Supplied in a convenient polymer case for easy storage. 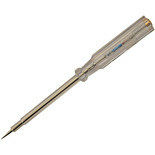 Mains Tester to determine the live terminal of electric circuits, one piece moulded handle and blade insulation. 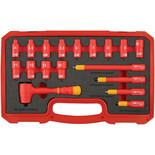 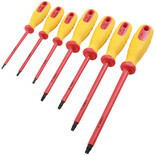 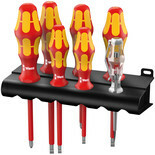 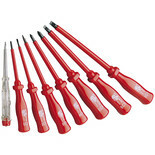 A nine piece interchangeable screwdriver set. 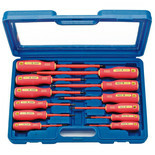 This set includes the following sizes T8, T9, T10, T15, T20, T25, T30 and is made from 8660 HRC 54-57 steel. 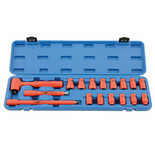 This set is suitable for use on live circuits up to 1500V DC or 1000V AC and is available in the following sizes: T10, T15, T20, T25, T27, T30, T40. 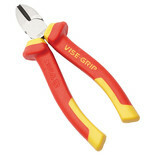 Part of the Hybrid range of hand tools.